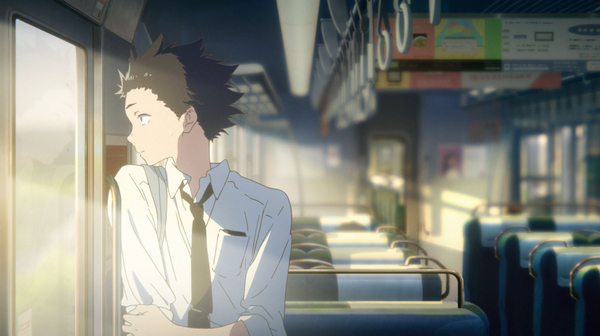 Based on a popular manga comic, Japanese director Naoko Yamada’s (K-On) affecting drama about the tempestuous relationship between a boy who hears and a girl who doesn’t; we’re delighted to screen this beautiful Japanese animation which has themes around living as a Deaf person at its core. When Shoko, a young Deaf student, transfers to a new elementary school she finds herself being bullied for her hearing impairment. The source of the teasing is her new classmate Shoya, who leads the class in poking fun at Shoko. But before long the class starts to turn on Shoya for his lack of compassion and he gets a taste of his own medicine. After graduating, Shoko and Shoya do not speak to each other until an older, wiser Shoya - tormented by his past behaviour - decides he must see Shoko once more to make amends for what he did. But is it already too late atone for his sins? This screening will also feature an introduction and after the film join us for Deaf Conversations About Cinema - a post-show discussion around the themes of the film in the Café/Bar with other audience members. The screening will be subtitled and feature sign language. The introduction will include live speech to text transcription and a sign language interpreter. All of our cinema auditoria are fitted with induction loop systems. The discussion afterwards in the Café/Bar will feature BSL translation. Advisory 15 Age Certification : Contains threats of suicide and bullying. The BBC and See Hear invite you to celebrate all things related to sign language and the Deaf community in film and television in this series of screenings and workshops over one weekend at Watershed.